Leicester City Women star Rosie Axten has been relishing the competition that two summer signings have brought to the squad. City Women added striker Melissa Johnson and Freda Ayisi to their talented attacking arsenal in the summer transfer window after promotion to the FA Women’s Championship. The former Sheffield FC Ladies and Arsenal Women forwards arrived on one-year deals and have been determined to claim a starting spot under manager Jonathan Morgan. The Foxes were already blessed with an attacking line-up comprising of Axten and England youth international Sophie Domingo while Leigh Dugmore operated slightly deeper in a 2017/18 campaign that resulted in 69 goals for the trio. Axten has welcomed the competition her new teammates have brought to the squad and believes the team will benefit from it further as the season progresses. “Melissa [Johnson] and Freda [Ayisi] have been brilliant since they have come in and added some quality to the team,” she said. Axten had retained her place in the starting XI with Morgan opting to play the 21-year-old alongside his two summer recruits in the league this term. The Englishwoman has scored four times and has contributed two assists in just eight starts across all competitions to help her side go into the international break in fourth position. Axten, Women’s National League North top scorer last season, has been irreplaceable of late and three goals in two matches during October has earned her a nomination for the Player of the Month award. Only three players – Rianna Dean, Jessica Sigsworth and Elizabeta Ejupi – have scored more goals than Axten in the league with the striker having adapted to the second division with ease. “The nomination meant a lot to me at this level. It has been a big step up for me personally so I’m happy I can still contribute to the team. 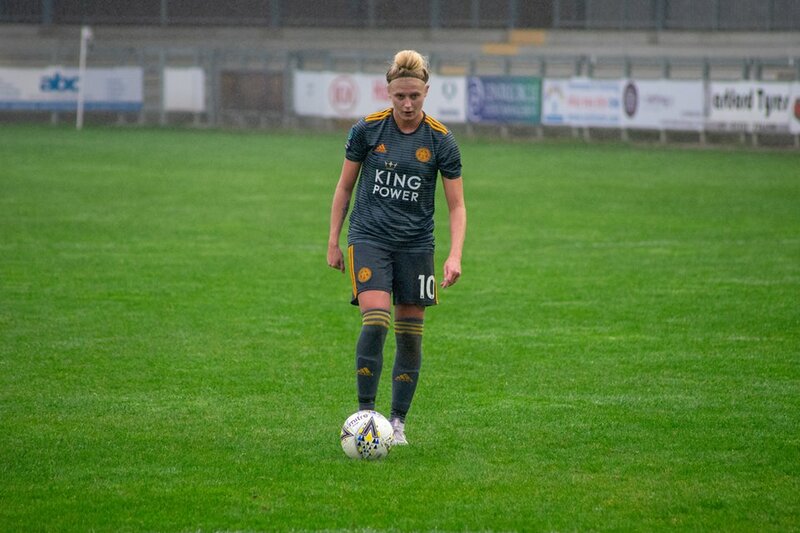 Leicester City Women face a trip to Durham Women next Sunday afternoon and will be looking to return to winning ways following a narrow defeat at home to Sheffield United Women last week.